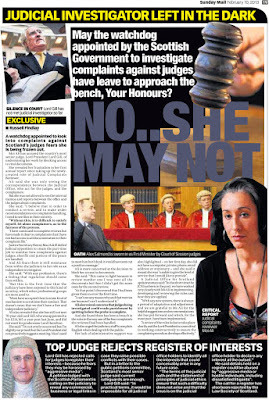 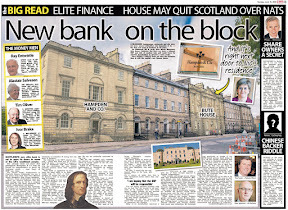 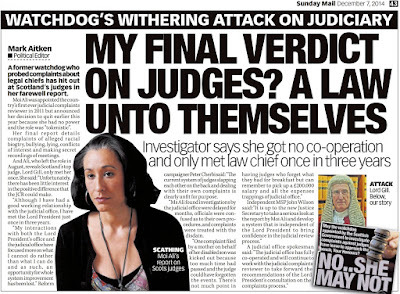 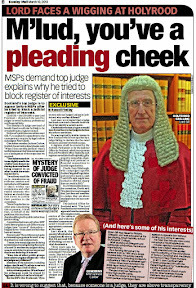 Nice.I hope they dont take as long as Scotland (four years) to do something about it or people may come to the shocking conclusion judges are delaying a register so they can hide or transfer all their interests before having to put it all down on paper. 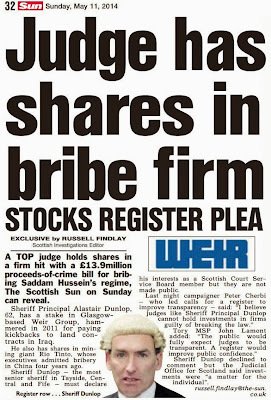 So what are WE waiting for?NOW YOUR REGISTER MADE LAW! 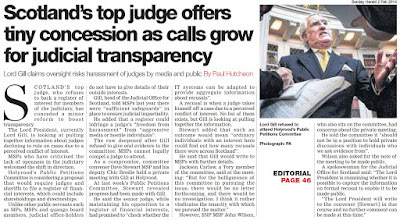 How odd the judiciary cannot even manage transparency and openness on their own when they demand same of everyone else. 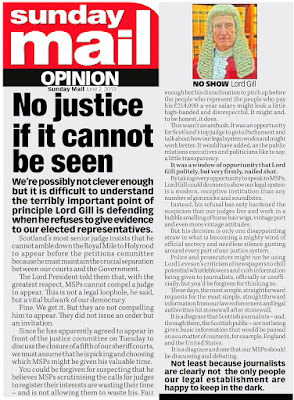 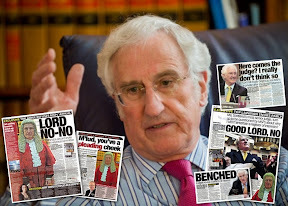 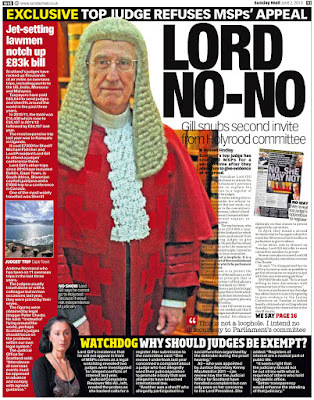 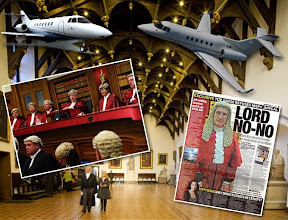 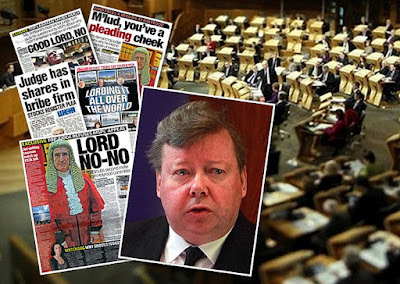 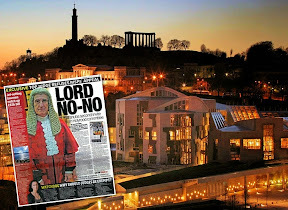 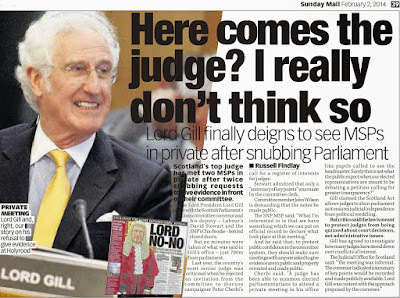 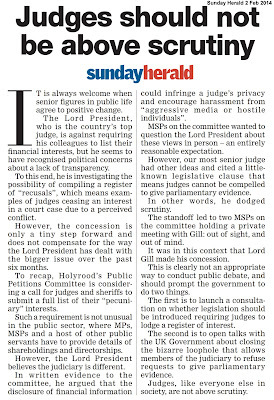 With all the headlines of Lord No-No during Carloway's trip to Ireland I wouldn't be surprised if your petition and those nefarious ideals of judicial transparency came up for discussion over dinners paid for by us! 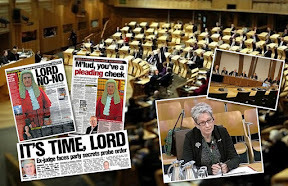 How did it get to be judges can stand in front of a mirror and promise themselves to do as they feel best and award themselves immunity from the laws of transparency they lord over us? 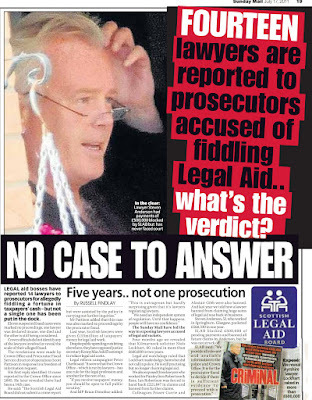 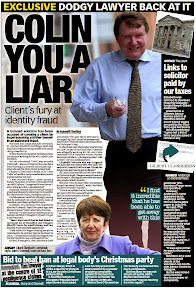 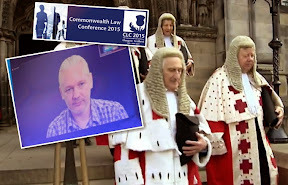 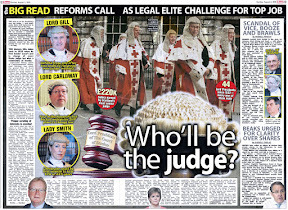 You cant pull the wool over our eyes any longer Mr and Mrs Judges now we have a chance to be educated from non legal lackeys and debate what you are doing to justice as in rigging the entire process for the legal interests benefit! 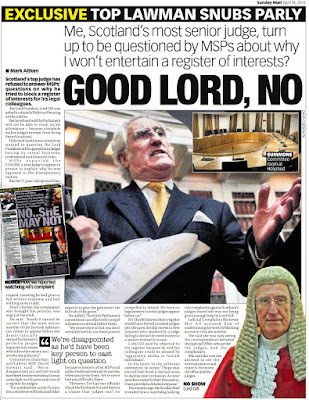 Wait until the Senator asks the question then you will see normally placid Irish judges turn into rabid thugs as did Scottish judges when asked to attend parliament to explain why they hated the idea of declaring their interests and I can well imagine the judicial thugs from Scotland have been instructing their Irish counterparts on what to expect and how to go about defeating anyone wanting a register of interests over there. 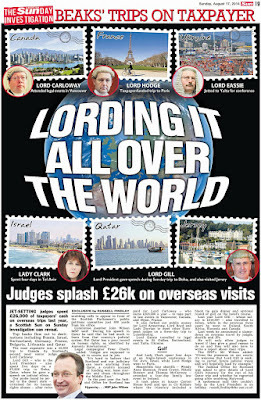 Judges should always be required to declare their interests and you cannot leave it to judges to police how they declare in a register there must be an independent authority to check they are declaring correctly otherwise the same old same old where you have judges earning millions in a few years and all they declare is a painting or a parking ticket.No good.Full register for all judges plenty other countries have it so why not Scotland. 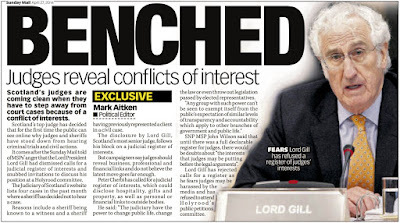 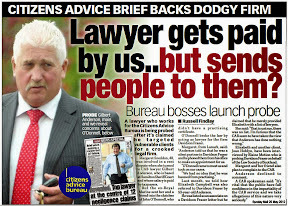 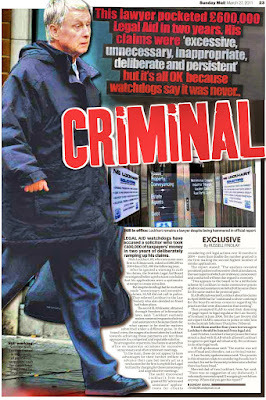 People beginning to come to their senses about judges and their black hole finances/interests! 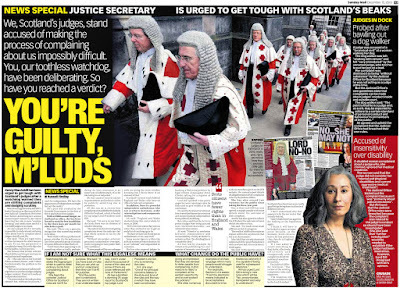 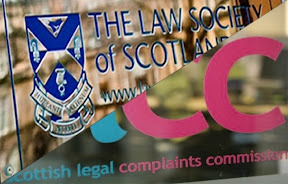 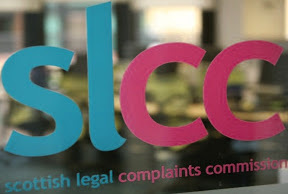 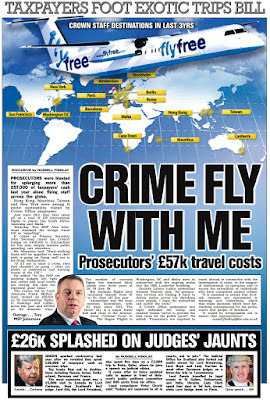 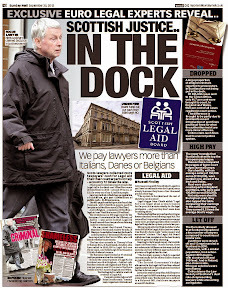 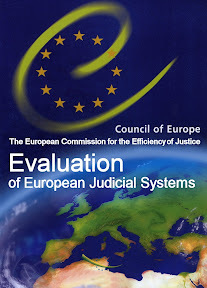 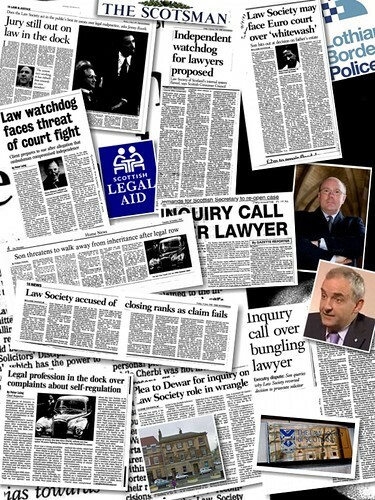 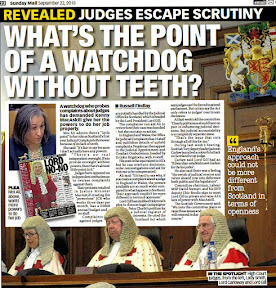 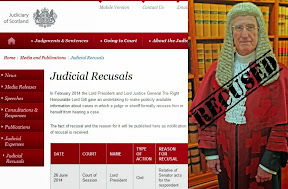 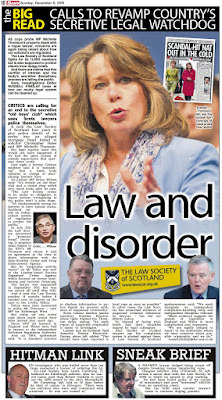 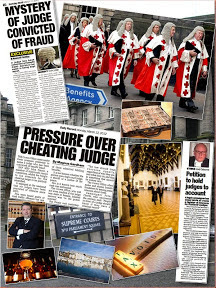 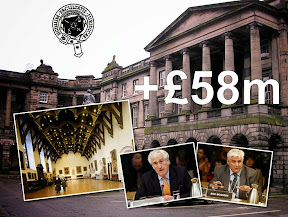 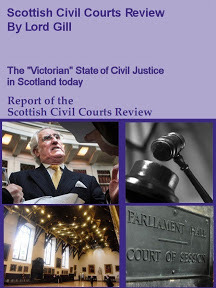 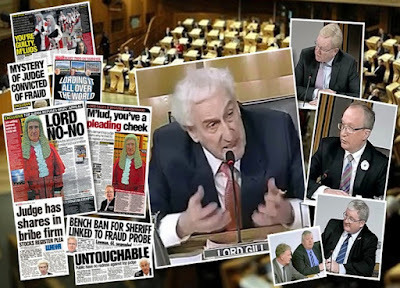 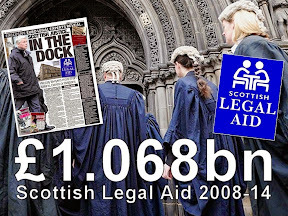 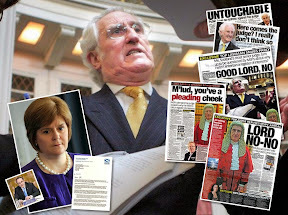 So when will Westminster bite the bullet and introduce judicial registers in England?Surely there must be some intelligent people south of the border who realise their judges are making things up as they go along just like in Scotland and other countries where the powerful robed mafia dodge declarations! 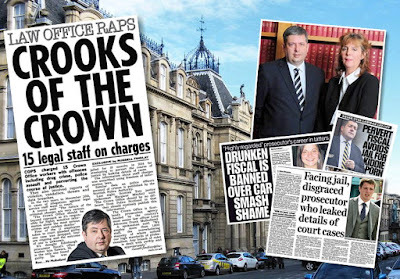 It would appear that the visit to Dublin by Lord Carloway and - as we only recently learned - Lady Dorian was perhaps no coincidence. 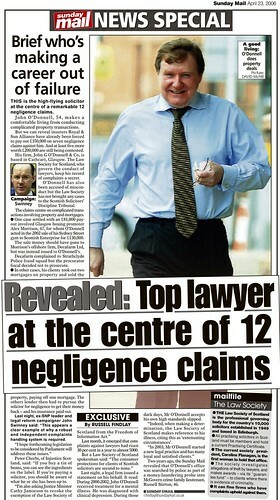 I have no doubt this would be a hot topic of discussion between them and their Irish counterparts. 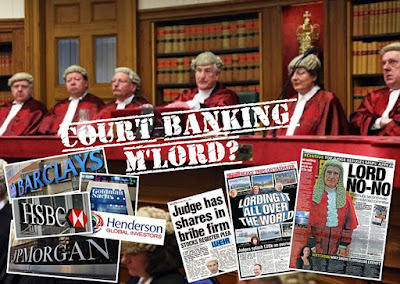 Self regulation in any form does not work, it has not worked with bankers, it has not worked with Politicians or the Police, and it has repeatedly been shown not to work with the legal profession. 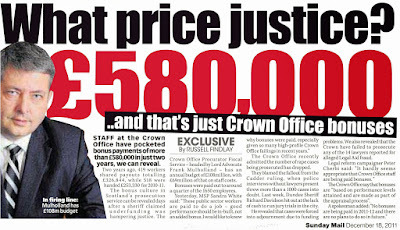 Yes agreed with above comment hope they dont take FOUR YEARS to think about it! 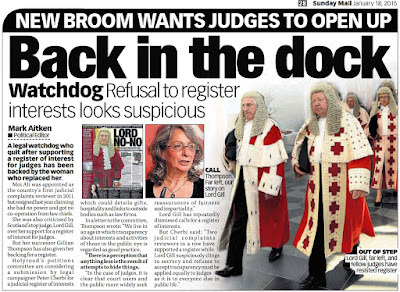 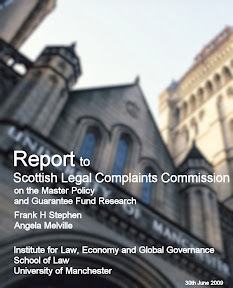 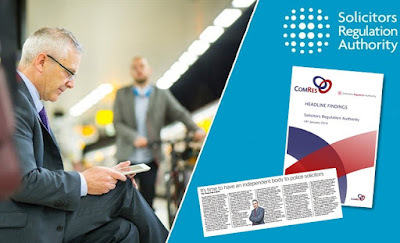 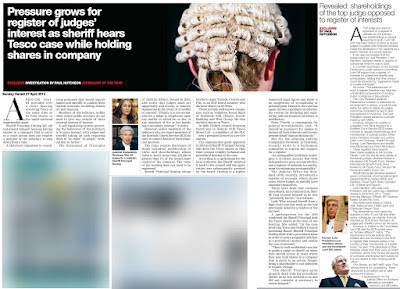 Don't you think it is more than a coincidence the register of interests was dropped from the motion and now we find out Scottish judges opposed to a register are traveling back and forth to Ireland to meet their counterparts. 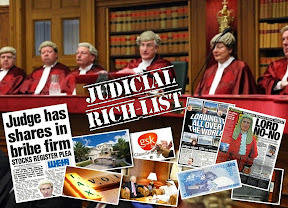 I smell the whiff of vested interests at work helping their irish pals in the judiciary avoid declaring their own riches.